Aloe Vera – The Facts! Aloe Vera, often called the Miracle Plant, the Natural Healer, the Burn Plant, goes by many names which have survived 4000 or so years, during which this amazing medicinal herb has benefited mankind. 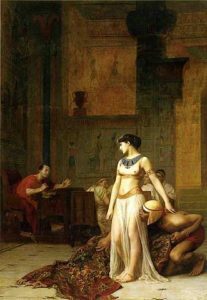 George Ebers in 1865 first discovered it’s antiquity in an ancient Egyptian papyrus, dated 3500 BC, which was in fact a collection of herbal remedies. Other researchers have since found it was used by both the ancient Chinese and Indian cultures. Greek and Roman physicians such as Dioscorides and Pliny the Elder used aloe Vera to great effect and legend suggests that Aristotle persuaded Alexander the Great to capture the island of Socotra in the Indian Ocean to get its rich supply of aloe vera plants to heal his wounded soldiers. 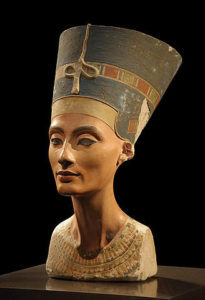 The Egyptian Queens Nefertiti and Cleopatra rated it highly as a beauty therapy, for in those days, health and beauty were linked far more than they ever are today. Although there are over 200 species of Aloe Vera, only 3-4 t have medicinal properties. Of these, Aloe Vera Barbadensis (Miller), which is also known as Aloe Vera (Linne), is the most potent. This is also the one we use in the production of all our aloe products. Aloe Vera Barbadensis is a succulent, looking rather like a cactus but is in fact a member of the Lily family, related to the onions, garlic and asparagus. It reaches maturity in 4 years when the content of its leaves, a mixture of inner gel and outer sap can be harvested, preserved and bottled to produce a product that is as near to the natural aloe vera plant juice as we can get. To benefit from Aloe Vera, the gel can be taken internally for its nutritional effect or it can be combined with other ingredients to produce topical creams and lotions to nourish and improve the quality of the skin. Why does Aloe Vera Work? Aloe works by providing a rich cocktail of nutritional elements whose combined action and balance, produce a more powerful effect together, then one would expect from the addition of each individual components. This is because they work as a team, enhancing each other’s effect – this is known as synergism. It also has adaptogenic properties- which means that the different individuals take from it what they need, therefore the benefits vary from person to person. Definition: any of various natural substances that work through the adrenal glands to produce adjustments in the body to combat stress and increase resistance to stress, and which usually produce no side effects. Example: Adaptogens such as the herbs garlic, ginseng, echinacea, ginkgo, goldenseal, and taheebo are natural substances that benefit the body. So if I can sum up how Aloe Vera works in laymen terms it would be that, Aloe Vera is a nutritional plant that in its entirety supplies our body, when consumed internally, with the nutritional building blocks we need to function at a higher level of health and fitness. Thus in doing so enables us to heal from sickness and injury more quickly allowing our body and immune system to go about the jobs it was designed to do. Because of its nutritional qualities and antioxidant properties, helps firstly to prevent injury to epithelial tissues-(Epithelial tissue covers the outside of the body and lines organs and cavities. Epithelial tissue helps to protect organisms from micro-organisms, injury, and fluid loss.) And when they are damaged, consuming Aloe Vera can promote healing. Antioxidants fight the destructive “free radicals”, the unstable compounds produced by our metabolism and are found in environmental pollutants. They are thought to cause a variety of ailments including some cancers as well as contributing towards the ageing process. An epithelium is an anatomical term defined as follows: An epithelium is a layer of cells that covers the body or lines a cavity that connects with it. Our largest epithelium is our skin but also included are the lining of the gut, the bronchial tubes and the genital tract. No wonder Aloe Vera works just as well on damaged skin as it does on , say, an inflamed bowel or in asthma. So How does Aloe Vera Work ? The inner leaf gel from Aloe has proven to deliver natural anti-inflammatory and antimicrobial actions combined within its nutritional constituents promote cell growth and therefore increased healing rates. However it is not only helpful for people with problems, most people taking it on a daily basis report a greater sense of well-being, they just feel better or they report feeling calmer and less anxious with more energy. Dr Peter Atherton stated that “he believed this is due to Aloe Vera’s effect on the immune system”, which you may say becomes balanced or fine-tuned and therefore more efficient at defending the body from attacks of virus and bacterial nature. These include magnesium manganese, zinc, copper, chromium, calcium, sodium, potassium and the important antioxidant selenium. Lipase’s and proteases which break down food and aid in digestion. The three main types, act as powerful anti-inflammatory agents. This woody substances bestows on Aloe Vera its penetrative ability to reach deep into the skin. The most important ones being aloin and emodin, together they are strong painkillers and are acknowledged to possess anti-bacterial and viruscidal activity. In their pure form they are very powerful laxatives. There is no real evidence to suggest the whole leaf aloe, which includes the rind but is filtered and usually concentrated, is any more effective than just the inner leaf gel or sap alone. However what is most important is the quality and quantity of aloe in the product being sold. Unfortunately many products on the market labelled as “Aloe Vera Juice” may contain only a small amount or portion of the actual inner leaf gel. If in doubt, look for the Seal of Approval of the International Aloe Science Council. This is an independent American regulatory body which monitors the quantity and quality of aloe in products. If their Seal of Approval actually appears on the container (not simply a claim) it is a bona fide aloe product. Aloe Vera is not a panacea for all ills and there’s no magic about it. I believe it works only in the two areas mentioned previously – epithelial tissue and the immune system. This is largely backed up by anecdotal evidence, as many thousands of people over the centuries have reported benefit for various skin complaints such as eczema, psoriasis, ulcers, burns, acne even stings and bites. Some people have reported they found relief for bowel disorders such as colitis, diverticulitis and Irritable Bowel Syndrome. However these are personal testimonial accounts and not yet backed up by documented scientific evidence. Other conditions resulting from a disordered immune system such as arthritis, asthma and ME (post viral fatigue syndrome) and LE (lupus) have improved after a regular ingestion of Aloe Vera gel. Aloe Vera therefore has a complimentary role to play in the management of various conditions. It is very important however that people should always seek the advice of their Doctor when the diagnosis is in doubt or where a condition does not improve. Self-diagnosis can be extremely dangerous as many serious conditions can mimic more simple ones. As with any changes to your health management plan, be it exercise diet or nutritional supplements, it is always wise to consult with your doctor. The bulk of this information has been sourced from leading experts in their field like Dr. Peter Atherton. MB. ChB. D.Obst. RCOG. MRCGP. Qualified in 1968 at Leeds University and after six years in the Royal Army Medical Corps, he became a General Practitioner. He is currently the Senior Partner of a training practice with a special interest in dermatology, having spent 3 years working in a dermatology department of a district hospital. This interest combined with an understanding of the power of herbal remedies gained whilst serving in the East and India led to his fascination with Aloe Vera. I have chosen to have a business with the Forever Living Company because the company has been operational for over 30 years. The products are of the highest quality. And the Forever Aloe products have, put simply, changed my life.